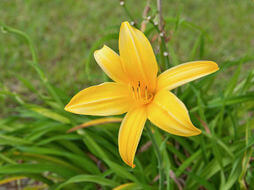 There are thousands of cultivars of daylily ranging in size and color. Flowers typically last only a day. Low maintenance perennial.